Freelance writer, one time development project officer, believer, sister, daughter, traveller, hard worker, laughter inducer, change seeker, Africa promoter, eco-fashion preacher, day dreamer, Afro hair fighter, poem scribbler, music, film and comic book consumer, cook book collector, occasional rambler, lover, fighter…d’ici et de nulle part en même temps. 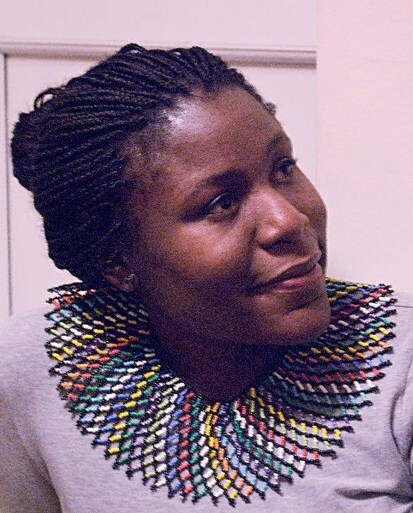 OUT OF FASHION: interview with eliza anyangwe from lenk3rad on Vimeo. Well-written and incisive! Only the truth shall set us free! Nice piece on M3NSA, it was a great gig indeed !!! As I can see we share the same vibes and tastes, I would like to introduce you to Amkoullel The Fula CHild, top Malian Hip Hop artist, cultural entrepreneur, activist etc. who will be in London for the 1st time on the 21st June at Momo, right after Africa Oye festival. Just back from an awesome tour in the US ! Can I have your email address to forward you some images and keep you informed please ? love the review on Wanlov at Rich Mix! I went to the open data mtup today. It was good, covered govt open data and other things too. I checked your blog earlier today, and was intrigued, and so was hoping to see you at the mtup, Lisa told me you will be going the next day. Will you be going to ethical fashion forum 17/18 oct. Hope to see you there, if you can make it. Amazing video, it really opened my eyes.It’s fascinating to hear examples of the strong relationships between fashion, production, education and ecology!